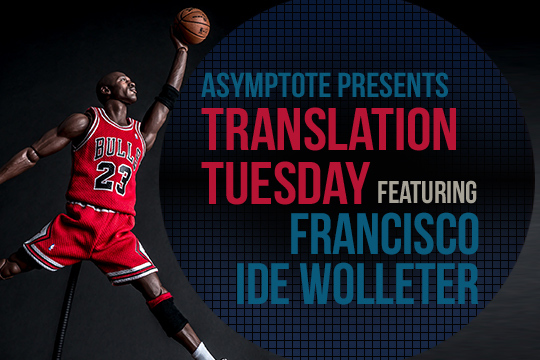 Awarded first place in the CNCA’s Roberto Bolaño Prize for Young Literary Creation in the Poetry category, twenty-seven-year-old Francisco Ide Wolleter stands out from the latest generation of Chilean litterateurs. His “Poems for Michael Jordan” are miracles of observation, imbuing quotidian life with existential drama. You won’t ever watch basketball the same way again after this.